Here’s a very quick video case study showing how to dominate the internet and how this helped our client to go from 63% occupancy when they took over the care home to 97.5% now. Click on the image below to start the video. As is shown in the video, dominating the internet means getting as many results for your care home on the first page of the Google search results as possible. This can be all the ones shown in the video, but can also include your Facebook page, You Tube promotional video, Twitter feed, On line Press Release, LinkedIn Profile Page and many more. To truly dominate and block out your competition you need to know what the most searched for phrases are and then dominate the results pages for each one. 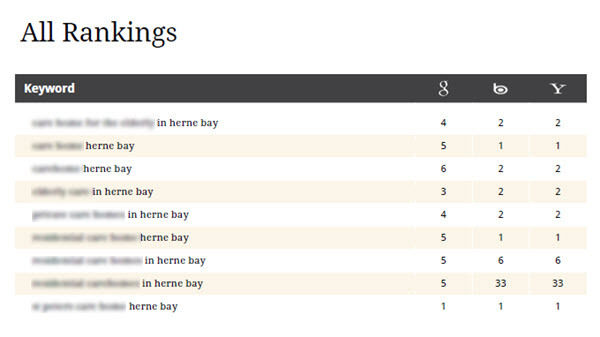 This is what we have done for St Peter's who are on the first page of Google, Bing & Yahoo results for 9 of the most popular search phrases as you can see on the graphic below taken from the software we use to track search results. 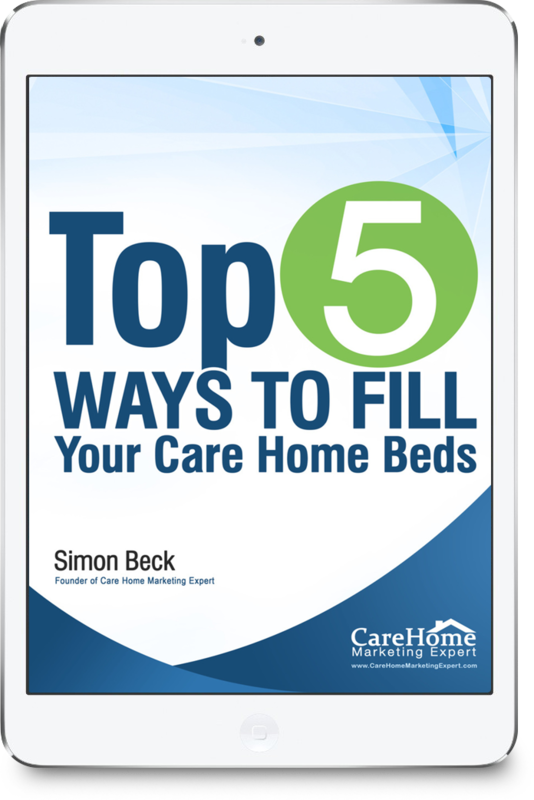 Dominating the internet is not the only thing you need to do to fill your care home beds, but it is one of the 20% of activities that will produce 80% of your results. If you'd like us to help you to dominate the search results for your care home give me a call on 01977 232233 or drop me an email. Send Me My Free Tips!